After forty years of winemaking, this November, Adelsheim is delighted to share our first vintage of sparkling wine! 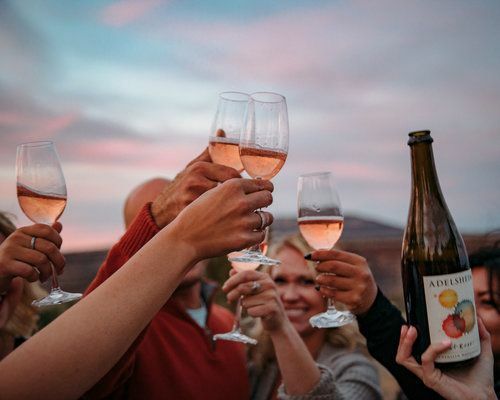 Come enjoy live music by guitarist Lance Vallis, small bites catered by our local favorite R&R Culinaire, and sip our spectacular, limited production, Sparkling Brut Rosé! Fee: $Complimentary for Club Adelsheim members; $25/person for non-members. We’re bubbling over with excitement to share a special treat with our Club Adelsheim members.